The concept of a moneyless society has reemerged in the age of awakening we find ourselves in. It is often belittled as a 'utopian ideal,' a completely unrealistic vision for a better world, or is it? This week, accomplished researcher and activist Michael Tellinger comes on the show with David Wilcock and Corey Goode in a special discussion about Ubuntu and Contributionism. Unlike what is widely accepted on Earth, the need for monetary systems to facilitate society is unfounded. Like all 'black magic' or mind control devices, money is founded on a falsehood, a misconception that without it, no one would be motivated to participate in co-creative undertakings. But in reality, there are countless ways individuals work together to create abundance in their lives. And in almost all cases, money serves as a tool to limit this organic process of generating goods and services. According to Goode, the Secret Space Program Alliance Council has been following the work of Tellinger, primarily because of this seemingly new model for society called Ubuntu or Contributionism. The SSP Council says that after the data dumps, society will be slowly transitioned into a contributionist model, wherein each individual's passions come to the fore as the primary mechanism for producing abundance or items for society. But anytime the discussion of a moneyless society is brought to the table, all manner of justifications in the existing system are spoken, that 'people would be lazy and unproductive, that competition fuels society, not cooperation' and so on. But as is discussed below, this is a myth. In reality, the most productive systems in nature are almost all cooperative, the best example of which is biological life. Tellinger conducts workshops on a regular basis, and has met the 'need for money' programing head on. He says that after people come to understand the way contributionism works, they breathe a huge sigh of relief knowing that a moneyless society is not about socialism or communism, it's about investing in the individual, improving their knowledge and skills so as to empower them to bare the fruit of an abundant life. If all people were so empowered, the basic needs of everyone would easily be met, and without the daily toil, we currently experience now. For the second episode in this series see the below linked episode. 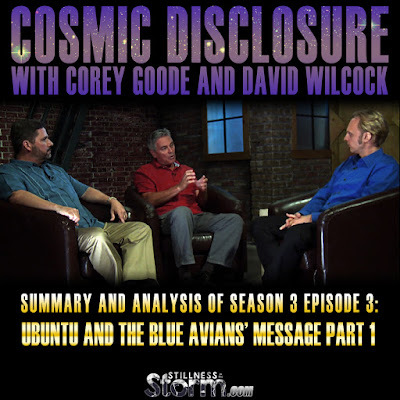 Corey Goode is a Secret Space Program (SSP) insider and whistleblower that began disclosing information in 2009 under the pseudonym GoodETxSG. In 2014, he started revealing a great deal more information in an effort to prepare humanity for what he calls 'data dumps', set to occur at an opportune moment in the future. Much of the information he provides comes from 'Smart Glass Pads', iPad like devices supplied to SSP personnel for information dissemination purposes. This will be a ground breaking event, revealing the totality of Earth's history and the activities of the Cabal which will ultimately lead to a truth and reconciliation style tribunal to hold criminal elements accountable for wrong doing. Additionally, the SSP Alliance intends on releasing all of the hidden technology to the people in preparation for a 'Star Trek-type golden age'. 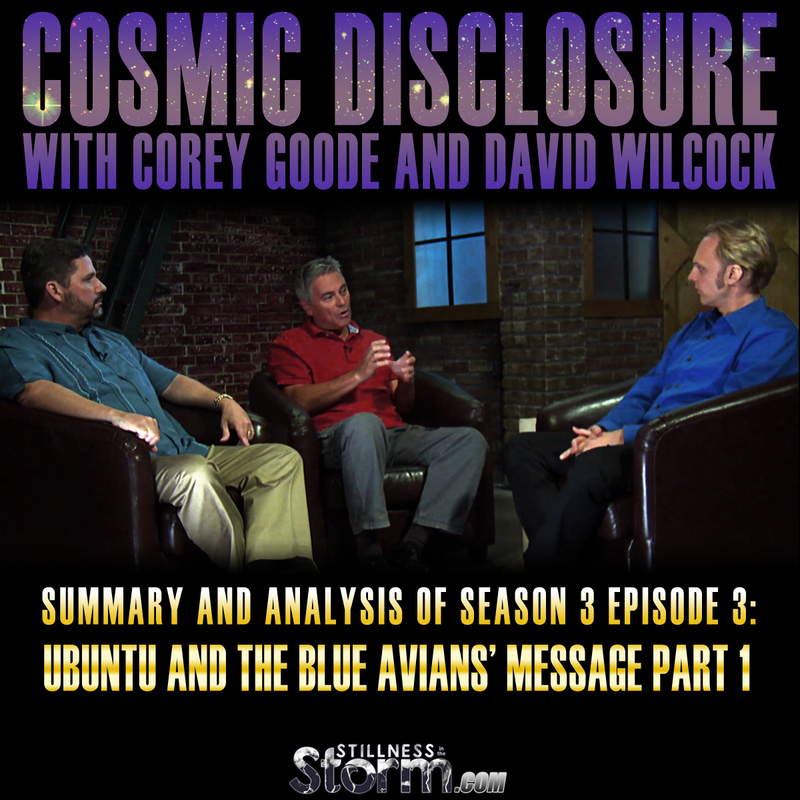 In this special presentation, Michael Tellinger joins with Corey Goode to discuss how the Ubuntu philosophy meshes well with the message from the Blue Avians. Understanding this intersection is key to overcoming the constraints placed upon our planet through the deliberate manipulation of our monetary system by the financial syndicates clamoring for full control of our world. This interview with David Wilcock was originally webcast January 19, 2016. DW - Hello, welcome to Cosmic Disclosure. I'm your host, David Wilcock and we have a special guest for this episode, none other than Michael Tellinger. He is well-known, if you don't already know this, coming out of South Africa with some very interesting research into ancient ruins that are quite extensive and very unique to the South African area. There’s some really interesting stuff in Zimbabwe and other places. It's all woven together into his research which has now led him to a very unique view about the economy. DW - And, if you are also a regular on the show you know Cory Goode coming out of the Secret Space Program (SSP). [He] has been in contact with an alliance that is a part of this breakaway civilization out in space. The alliance is saying that what they want is to release technology that will utterly transform life on Earth as we know it and bring us directly into a Star Trek type Golden Age that is predicted in 35 different ancient cultures around the world as revealed by Giorgio de Santillana and Hertha von Dechend in their epic, classic Hamlet’s Mill, which was then paraphrased and renewed by Graham Hancock who's one of the real inspirations for all of our work. DW - So I wanted to bring Michael Tellinger on to the show in order to help explain this economic system that he has devised which has taken a keen interest to the Space Program Alliance. 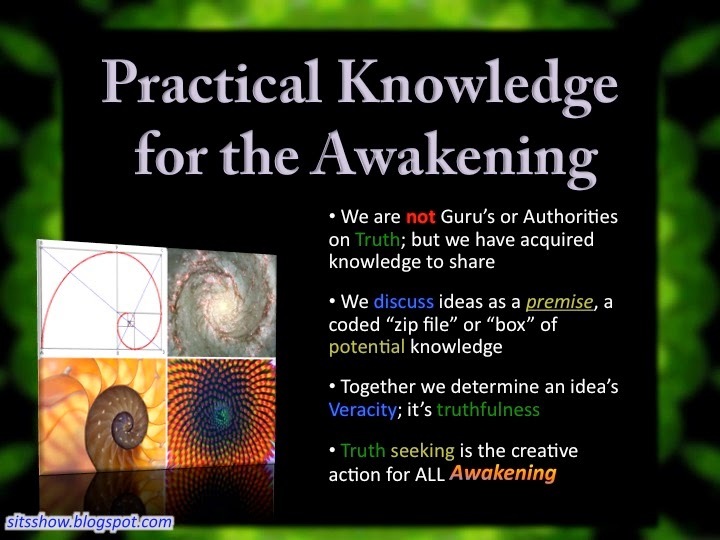 So first, what we’re going to do is to talk to Corey about the Alliance: what is the Alliance, define the Alliance, and how this thread that Michael Tellinger has brought in the picture weaves into this greater tapestry of disclosure that we’re bringing out. So Michael, thanks for being here. MT - Thank you David, good to be here. DW - Alright, and Corey, thanks for being here too. DW - Let’s just start briefly with [Corey] — if somebody happens to be watching this episode for the first time, they’re looking at what did they might call the Illuminati or the New World order, and they're saying, “This is some impossible thing. Nobody is ever going to be able to stand up to these guys.” What is the Alliance exactly? And do they have a chance to ever bring down the Cabal or is this just a pyrrhic quest that they will never succeed? CG - They definitely have more <short laugh> than a fair chance. The Alliance is made up of two main factions: there’s the Earth Alliance which is made up of different societies, secret type of societies and groups that work loosely together. And they’re working to overthrow the current financial system and the system that is run by what I have described as the Secret Earth Government and their syndicates. 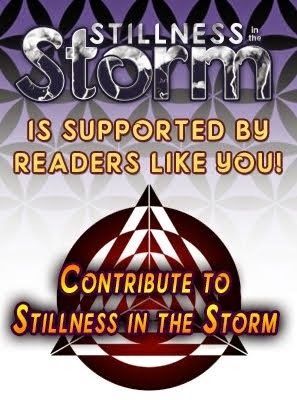 And, many of these syndicates are very much into the occult and they’re the groups that people call the Illuminati. We call them what they are: syndicates. We take the mystique out of the mystery. DW - In case somebody doesn’t know what the secret space program is, what kind of technology are we talking about? What do these folks have? CG - Well, there are different secrets space programs that… There’s a wide variety of technologies. They have some that are just twenty to fifty years ahead of what we see flying around, that the Air Force and NASA [are] using. CG - And then they have aspects, like the Interplanetary Corporate Conglomerate (ICC) that is basically all of the corporations that have come together, pooled their resources and created a vast infrastructure in our solar system. CG - Primarily but it branches out to many others. CG - They’ve moved past that, but yes. DW - So this is highly advanced technology. It’s all have been developed under the umbrella of extremely high security classification. CG - Yes. And the Secret Space Program Alliance major goal is to bring what they call “Full Disclosure” to the population of the Earth. And full disclosure is not just “They are aliens. We’ve been lying to you for the last eighty-ninety years… Ok, move on with your lives.” The Full Disclosure event will be a data dump. You know, from [the] Edward Snowden’s information and a few other of these major hacks that we’ve heard just a little bit about. All of this information has been decrypted and collated, handed over the Earth Alliance and to the Secret Space Program Alliance, readied for a massive data dump at a certain point. And what [the Alliances] want to do is to reveal all the crimes against humanity that these syndicates have done in order to prevent the fact that there are ETs, non-terrestrials out there, [and] to cover up technologies that would have changed our lives in a dramatic way. It would have collapsed their corporate regimes and their Babylonian Money Magic system—slave system—over the Earth that they use to control everybody on the surface. DW - Ok, let’s just get really real for a second. <emphatically> What the Hell are these people thinking? Why do they want to kill people? Why do they want to depopulate the planet by billions? This is what makes people unable to actually see that this is real. They just can’t wrap their head around. What the Hell are these people doing? CG - Not all of these syndicates have this same agenda. I’ve described that there’s a Super Federation of non-terrestrials that have been here for eons. [They] have been involved in 22 different parallel but competing programs that have been manipulating Earth’s humanity and it’s been on a genetic, social, and spiritual level. And they themselves are part of this “Grand Experiment,” [as] they call it. Now, there are some more benevolent non-terrestrial groups that have, I guess, an agenda that we would consider positive and there are some that have a very genetic purist type of agenda that people that fall outside of a certain small realm, they want to clean off of the Earth and start anew with a small group. But, it is not all of these syndicates that are pushing for this depopulation [agenda]. It just happens to be some of the ones that are the most powerful and some of the ones that are, like the Committee of the 200, that I’ve talked about, that have a lot of power and run the financial system. DW - You have an advantage that Michael and I don’t have, which is that you’ve met with a number of these people. You’ve looked at them in the eye and you’ve heard their arguments about why they think billions of people should be killed. The people who believe in that, how could they want that? What is their agenda? Why do they want so many people to die? DW - So when they use terms like “useless eaters,” “sheeple,” do they feel that they could control the planet better if there were fewer people here? Is that part of it? DW - "Humans are bad for the environment…"
CG - Right, when they know full-well that we have the technologies - that the Secret Space Program wants to bring down - technologies such as replicators that would feed people, free energy, healing technologies that work off light and sound frequency, and a whole lot of different technologies that would improve the lives of people and help them live in balance with the planet. This could be brought down, implemented [for] all of humanity, immediately. And they don’t want to bring it to [just] the Americans [or] the British, and let it trickle down to the other members of the planet. They want to bring it to everyone on the planet all at the same time. DW - Alright, we’ll start blending why we got Michael into the discussion here and I’m going to ask you one question and I want you to answer it and we’ll open it up. Some of the most controversial stuff that you and I have talked about in the show, is the idea that we don’t really need a financial system, once these types of technologies come out. You’ve often dropped the term that the Secret Space Program Alliance use, the “Babylonian Money Magic system.” What’s so bad about money? How is the financial system a tool for control by these secret Earth government syndicates that you’ve been describing? How do they use it against us? CG - When you have money, you have debt. When you have debt, you have servitude and slavery. You have people that are the haves lending money to the have-nots. And the have-nots are the ones that end up carrying all of the burden. And that’s the way that’s been set up to work since the very beginning. And we’ve been so highly programmed for many thousands of years to believe that you have to have this paper folded up into your pocket. People have been told and they freak out: “You want take away our money! You want to move to a cashless society. This is crazy!” “What are we going to do without money?” “How can you have a society without money?” And they … can’t fathom it! They’re so highly programmed, they cannot fathom it. [The monetary system was one of the first things I studied in my own personal awakening. Let's take a not-so-brief intermission to discuss some of points. First of all, money is a representation of value, which can take on many forms, including gold, silver paper, goods, services and so on. But all of these things represent an agreement between two or more individuals to create or do something in the physical world. This means that all money comes from an agreement, generated when two or more individuals decided to use it as a method of exchange, and as such, all money is fiat, or by decree. Money is totally unnecessary in creating abundance, unless the persons we want to work with thinks that they need it. For example, in order to grow food, one needs land, water, soil and seed; no money is needed to plant seeds and water the soil. But if a farm hand cannot acknowledge the benefit they would receive by joining a farm project, we may have to resort to using money to garner their cooperation. And it is this last point which is crucial to understand. What is money used for? At its worst, money acts as a limiter or control mechanism for creation, specifically, co-creative workings. Let me say that again, money is currently used on Earth as a way to prevent or limit the creative workings of humanity, whether we're talking about an individual or a whole nation. At its best, money is used as a way to facilitate cooperation, primarily in individuals who cannot otherwise see the value of a co-creative undertaking. So in this sense, money is the grease which fuels the engines of commerce in our world. Today we employ debt-based or interest-based money, whereby, money is lent into existence via the creation of promissory notes. Not all systems of exchange use material symbols or notes to facilitate commerce. But regardless of what kind of monetary system is being discussed, there is always the technology of promises being employed, which could be an actual promissory note. A promissory note is simply a promise to pay, a commitment to do something made by one person or group to another, an agreement of cooperation. Whether we use literal paper notes or simply make a statement or a commitment to generate goods or services, promissory methods are employed, which could be part of the organic monetary system. Money in this way is created when we receive a loan or bank credit, which we then toil away to payback, plus interest. So bankers and the Cabal get us to do their bidding by deceiving us into payback back interest. Matter of fact, when you sign a loan application, it is a kind of promissory note, which has a value assigned to it. 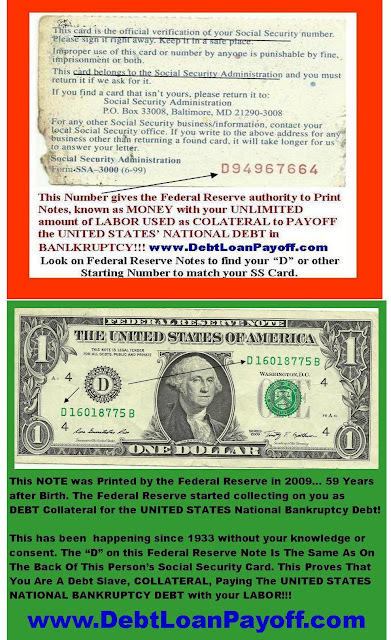 Within the current monetary system, this document has value the moment you sign your name to it, which is then converted into cash and deposited into your bank account as a loan. In other words, the money didn't exist before you signed the loan application, which means for a bank to charge you interest and ask for collateral is fraud because you literally created the money by asking for it. This is a bit complicated to understand, but there is a wealth of verifiable information to support this reality. Now if this fraud wasn't enough, the charging of interest, known in past times as usury, is another major problem for humanity. Unless all interest charged is spent back into society, a slow and stead siphoning of abundance or wealth occurs in that society. This is exactly what has happened to every debt-based money system on the planet as central banks charge interest for the privilege of using bank notes, which is then levied against a population who has to produce real goods and serves to pay back something that never existed. Further more, banks don't actually produce anything in society, they produce no abundance whatsoever, but instead parasitically consume the abundance created by a group of individuals. Bill Still is a researcher who has studied money in depth, producing two excellent documentaries covering the historical uses of money, both debt-based and free money. The 'organic' monetary system has alway been used and the representation system cannot operate without the other. The organic system is fueled by consciousness; it is powered by agreement. The common element behind any monetary system, whether organic or artificial, is that it seeks to facilitate or limit cooperation between two or more individuals which is a relationship of trust. In the absence of trust, money can be used to smooth things over. And since cooperation is the thing monetary systems produce, then is it really that big of leap to say we don't need a material one? Can't we just use tools of consciousness to facilitate cooperation? What is a tool of consciousness? Trust. The thing that our current monetary system does is allow trust to be established so as to facilitate production. Think of it like this, most people are either unable or unwilling to see the value in a co-creative working or project, but if money is offered, now we are motivated to trust in the enterprise. For example, most people would never choose to clean toilets for the collective benefit of humanity, but if you give them a pay check, they'd happily do the work. And if you paid them enough, they may even do something they otherwise wouldn't, like participate in systems of enslavement. So at a very real level, money is a tool to manage an enslaved population, to engender trust in the system of enslavement, which would otherwise not be possible via direct cooperation. If the Cabal asked policeman, military, doctors, and so on, to participate in tyrannical systems of control for the benefit of a small population of elites, most would never agree to such a thing. But if you can dumb down a population enough to loose touch with reality, if you can get a people to be so unaware of the big picture that they can't see the truth for what it is, now they will be much easier to manipulate. Money as it is used today on Earth literally fuels the slavery system by garnering the cooperation of the masses, who by their own consent or choice, enslave themselves and their fellows. So when someone says, "we never consented to be enslaved!" shouldn't the response be: "but are we on the pay roll?" Odds are, we are each participating in the system justified by the need to earn a living because we've fundamentally lost touch with how to create abundance in our lives via cooperating amongst ourselves. The Cabal don't really produce anything, except dependency, and using money without knowledge of all the facts, all but guarantees we'll be hopelessly dependent on the system, and even fight to protect it. So, if an organic exchange system creates abundance, then the artificial one we use today creates scarcity, and from this place of lack, we forget that the greatest allies in life are the people around us, or fellows with common goals and interests. The good news is that the organic form of currency has always existed alongside the false ones. The whole representation of value system (money) is a carbon copy of the organic system. What makes it so deleterious to society is that we've lost sight of the organic one, and only focus on the representation. We've literally become enamored with illusion instead of falling in love with reality. The whole point is to get people to forget about the powers of cooperation and unity so that they begin to identify abundance with a representation, a 'false image'. And this program of value obfuscation is arguably hugely successful in our world today, even within the ranks of awakening masses. So what is an example of the organic system of exchange? The family unit is probably the best example of an organic system of exchange. There are hardly any parents that tabulate expenses so that they can one day charge their child for goods and services rendered during upbringing; this would be an example of a debt based system. Instead, parents 'pay it forward' or have 'good faith,' that their labors and energy are going towards a worth wile cause: the development of a new embodiment of consciousness, that if cared for well enough, will become an engine of abundance in its own right. So the currency of abundance is actually love and fellowship, cooperation and faith in our fellows that with enough support, they can bare fruit. This is another big secret behind money that it controls cooperation, which then controls the creation of abundance. Abundance is what consciousness generates as it gains knowledge and skill via experience. As a matter of fact, the whole legal side of the financial system is centered around humanity's ability to create, which is well nigh limitless. See the below linked article for more on this. Related Redemption Of Your Strawman Account! | Filing a UCC1 With The Treasury Department? Is There A Treasury Bond In My Name? To further drive in the point that we are each engines of abundance, imagine having to survive alone on an island. How much time and energy would it take to maintain food, water and shelter? Depending on where we were, it would probably require a huge amount of energy, with most of our time being spent purely on survival needs. If we add one more person to this solitary community, now the work load can be split between two people. Now instead of 14 hours of one's day being devoted to survival, only seven hours are needed. And with the freedom of time, these two individuals can create more things they each want, improving the quality of life for each of them. Perhaps they want a nicer shelter, or a fishing net, or a better fire pit, and with the free time that was generated by their efforts to cooperate, they can achieve these goals. Now imagine that we have a whole planet of individuals capable of cooperating to make life easier for everyone else. The fruit of each persons labors directly benefits all other people, so long as a clear agreement is established. What we are talking about is not socialism, nor is it communism, what we are talking about is contributionism. Where each individual becomes a fountain of abundance in their own right, producing goods and providing services that create so much abundance no single individual could hope to consume it all. But in order to have an organic system of exchange, you need trust, you need cooperation and unity, all of which is founded on a well educated and aware population. In the absence of key knowledge about the interconnected nature of reality, an external form of exchange is needed to facilitate production. This is a master stroke of the Cabal, and why I think it's called 'money magic'. Magic is a term we normally use when describing something beyond our understanding. Fire to a cave man seems magical, but to a scientist is an exothermic oxidative process. The key difference being, lack of knowledge and understanding is perceived as magic or the supernatural. Almost Everyone believes that money is needed, and they act on this belief generating the world we see today. But the vast majority of people who have this belief don't actually understand what money is, how it is used in our world, and where it comes from. In the absence of intrinsic or personal knowledge, we tend to ascribe mystical qualities to phenomenon, we don't understand. But more importantly, when we lack personal understanding of why we do the things we do, and someone dares to challenge our beliefs, the tendency is to react defensively towards the person who dares question our behaviors. I think this is why most people immediately scoff at the notion of a moneyless society, because they believe we need one, but don't actually know why. Psychologically, anything that is unconsciously accepted as true will control us without our conscious perception. Another way of saying it is what we choose to believe, but do not understand, literally is mind control. The basis of all mind control is to get someone to accept something as true, without knowing exactly why, which could involve coercion and force, but usually deception or manipulation. In this sense, since humanity has lost touch with reality since we can no longer recognize what money is and how it is used, yet we cling to its use with religious fervor, then this suggest money is actually one of the most widely accepted mind control programs on Earth. As Mark Passio says, the one world religion is not Christianity, Buddhism or Islam, it is belief or faith in money. 'Money magic' would then be an effect on reality via consciousness, as a result of blind faith in money, which literally turns one into an agent of the Cabal. The common thread behind all the points is consciousness and knowledge. Ultimately, what makes money so dangerous is that people use it without key knowledge or understanding, and as such, they create chaos in the world via ignorance, they become agents of the Cabal while at the same time thinking of themselves as free. DW - But how is what you’re saying not Communism? Aren’t you going to have a group of oligarchs that absorb all the wealth and everybody gets paid the same and therefore nobody has any incentive to do anything? CG - Well, you’re using the word “paid.” That would denote that there’s money involved. CG - When everyone has everything that they need, I mean, if you really want money or gold, the replicators have the ability [to make it]. You could synthesize a little bit of gold or synthesize an old twentieth century hundred dollar bill and carry it around in your pocket, if that makes you feel more secure. But you’re not going to need it because everything is going to be based on bartering skills, people sharing their knowledge and abilities for each other as a community. And everyone is going to have what they need through these technologies. You’re not going to need to work 9 to 5 to pay an electricity bill: free energy. I mean, you’re not going to need to buy groceries: replicator technology. DW - Hold on right there. These people in space, these space alliance people, they mentioned to you before you even knew the name, Michael Tellinger, and Ubuntu Contributionism? What were they saying? Why do these people who live up in space, who may not even ever come to Earth, why do they care about this guy right here? What was the interest that they had? If they have all of these technologies, how is it that what he did had anything to do with that? CG - To be clear, I had heard of Michael Tellinger and some of his work in ancient civilizations and some of the studies he said that he’s done and I found a lot of that very interesting. I had no idea of the political movement he was doing until it was brought up in a situation to where the Lt. Colonel Gonzales was there and they were talking about Michael Tellinger and the Ubuntu… <Asking MT> Did I say that right? MT - Yeah, well done! CG - <Laughs> [... the Ubuntu] movement, and how they said that this is the wave of the future and that after there was going to be a catalyst event, there’s going to be a full disclosure event, and after the monetary system is gone, and capitalism and all the “-isms” are gone, this is going to be the type of system that we’re going to move into and use as we’re a transitional civilization moving to a Star Trek civilization, as we’re integrating and learning [about] all of these new technologies that exist, and integrating them into our lives. And they said they’ve been following this movement with great interest. I thought it was very interesting and I don’t know what Mr. Tellinger has to say about that. MT - Presenting a solution that resonates with people, not only in their minds but in their hearts specifically. And it seems to be that for some reason I’ve become the messenger. This is not my system. It’s not my message. I’m just the messenger. And it’s interesting for me to hear that it’s been spoken about in other areas that I wasn’t even aware of. Because I’ve been getting some interesting emails from people around the world mentioning things to me about prophecy and all this, and how Ubuntu features into other work that they’re doing. It’s taken me by surprise but I don’t really want to go down that route. It’s just interesting to know and let’s carry on with the task at hand. There’s a lot of work to be done and we need to… What we’re doing is providing an alternative solution. The system we’ve had for the last 6000 [to] 12000 years has not worked. It’s been a system that was designed to enslave us, using what Corey calls a “Babylonian Money Magic” system. Money is a tool of enslavement. That’s all it is supposed to do. And I remind people all the time about the fact it’s not about the money. It’s about the use of money as a tool of control. Those who control the money can create as much money as they want because there’s nothing backing it. It’s just money out of thin air. So it’s about keeping the control of the supply of money on the planet and that’s how you control the planet. DW - Even in the biblical book of Genesis, it sets up right at the beginning, explaining that the money system is this evil force. You have to read it carefully. It’s right in there. CG and MT - Yeah. MT - You’ve just described it: the money system has somehow been imbued in ancient times with some sort of black magic component because look at what it’s done to our planet. Look at what it’s done to humanity. People go crazy. As Corey said upfront, when you say to people that we’re going to remove money from the system they start going crazy. Because they imagine that we’re going to take their money away. That’s not what we say. We say that we’re going to create a new system that doesn’t work with money. So nobody needs money. And this is where the whole introduction to a world transitioning from a [one] that’s driven by money and greed, corporate structure and control, and scarcity, moves from the money-driven system to a system that’s driven by people and their passion for life. That’s what the whole Ubuntu movement is about. And slowly but surely introducing people to the fact that we don’t need money because money does nothing. People do everything. It’s about the people! We grow the food. We plant the seeds. We create the mathematical equations that developed the free energy devices. We do everything! Money does nothing. It just keeps getting in the way of people expressing their passion and living out their beautiful lives! DW - Well, if we had Darth Cheney sitting right here, and he was going to talk off the cuffs, he’s going to say, “As soon as you take away people’s need to earn money, they’re going to drink beer and they’re going to sit and watch TV all day." MT - Yeah, that’s in a capitalist-driven system. We’re changing the system, changing [to] a system where people live out their lives and express their talents that they’re born with and they don’t have to worry about life. What you mentioned there David is what I call one of the thirty frequently asked questions. And out of eleven years of work of talking and exploring a new way, a new social structure that works without money, it’s [now] down to thirty frequently asked questions. It’s incredible. In a world with money, we have an insurmountable number of problems. And our governments and our banking [and] financial guys can’t solve the problems we have with all the money in the world. And in a proposed world without money, over a period of eleven years since 2005, it’s down to thirty problems we have to solve in a world without money [so we can] live in paradise. DW - My parents bought the house that I lived in and grew up in starting in 1973, for 26000 dollars. Now that’s a joke! DW - The US dollar has decreased in value by 96 percent in the one hundred years since the foundation of the Federal Reserve system. MT - Well, there you’ve just mentioned the big scam: the reserve banks. The central banks of the world. Now for people who aren’t aware of this: all of the central banks of the world are private companies! They control our governments. It’s like our governments are indebted to these private companies. And they use all of us as their slaves. So part of the teaching and the sharing of information of the Ubuntu movement and the Ubuntu Party is first telling people about the origins of money, as Corey calls it, the Babylonian Money Magic system. That’s when money first appeared, [and] it was maliciously introduced. It’s not the consequence of a thousand years of bartering and trade. It is a maliciously introduced tool of enslavement that gives the people the illusion and the belief that they are free. They still have to work for money so that they can live and pay their taxes. So if you change the whole system, and this is why I do the Ubuntu workshops, where after a day or two days of it - of Ubuntu workshop - going through all these processes, it’s turned out now that it’s become like a group therapy session for people. And it’s the last thing that I expected. Because people are suddenly feeling the sense of relief, “Oh my God, we don’t need money, I see what you mean!” And they not only understand it, they understand the origin of it, the reason and how and why it was introduced and how it was twisted as a tool of enslavement and what we can do to get ourselves out of it. And with this comes the good news. This is where people really start getting excited: when they see how simple it is. How we have just be undoing some of the programming and the conditioning and the brainwashing that we’ve had to go through, that we’ve gone through for thousands of years, and especially for the last hundred years or so with the current education system that was set up to do all of this damage to us — right? To turn us into a future labor force. Once people realize how simple it is to get ourselves out of this mess: that’s when you see the deep realization. DW - So Michael, don’t you think that… Let’s say that the dreaded global economic collapse occurred [and the sun still rises [and] sun still sets [the next day]. There [are] tides. There’s rain. There’s crop that’s going to grow. We have what we need here. DW - If these people are saying, all the money is gone, where the "F" did it go? <Laughs> Right? It’s ridiculous! The resources are here! We’re living in a very abundant world. MT - Well, this is one of the things that you need to remind people of. Many times, and sometimes over and over again that: we live on a planet of abundance. We’ve been taught, we’ve now been led to believe that we live on a planet of scarcity, through the corporate hierarchical structure. And this is all to do with the principle and this philosophy that has been shoved into our heads since the earliest days: [which is that] competition is what we need to have progress. You know, that competition drives progress; competition drives innovation; competition drives people’s desires to succeed and all that. That is the poisoned pill, the sugar-coated poisoned pill that we’ve been given, falsely believed [as] “that’s how things work.” No, no, no, competition creates scarcity. [That's the black magic element we discussed earlier.] Competition makes corporations hide things so that they can then benefit from the [hidden] knowledge, the information, and the technology, while the rest of humanity suffers. Competition prevents new technologies from being released: petroleum, electricity, and cures for disease. You understand this is why competition is so bad. So the whole thing with Ubuntu Contributionism is just switching that one little thing around, turning competition into cooperation and collaboration. MT - Yes, you took the words right out of my mind. This is part of the Ubuntu teachings, if you can call it that: to tell people that only out of unity would you ever attain infinite diversity. We have to come together as a group of living, breathing human beings and realize that together out of our united efforts, we can then diversify in an infinite number of resonant fractal activities. As long as we resonate together at the core center, from that resonance center, we can diversify into an infinite number of fractals because we still resonate together. The moment we have dissonance, we have disease and we have fracturization. And we have breaking off death and destruction. MT - Exactly! <Laughs> This is what I often show in my workshops… Think of your body and the trillions of cells in your body that all work together for the benefit of the community of cells: your body. They’re not fighting each other. CG - I can fully see why those in the Secret Space program Council have been following this. And also, it goes back to the Blue Avian message that they’ve delivered. And there’s been a lot of people out there that have been under the misunderstanding that this is a new ET race — savior race — that are coming to save humanity. There’s a lot of people who are sitting back, waiting for some light forces, or some group to come and save humanity. You know, this Sphere Alliance, they’re out there to help even the playing field. They’ve made it very clear that, like the Hopis said, we are the salvation that we’ve been waiting for. We are responsible for clearing up our own mess, coming up with a solution in defeating the illuminati, cabal, secret Earth government groups, [and] coming up with a new system, implementing the new system, and starting over with a new transitional society. And that it is up to all of us to stop pointing out all of our differences, all the things that make us different, all of the things that keep us apart and start focusing on all the things that we have that are similar, that will bring us into a symbiotic relationship. And you know, the idea of forgiving other people, becoming forgiving of ourselves, there’s a lot of forgiveness that needs to happen between tribes and nations. We need to move past that and start working on projects like the one you’re talking about in detail that will help us to come together and solve these problems ourselves, after doing the inner work, and come up with the solutions ourselves, instead of waiting for it to be done for us, because it will never happen otherwise. MT - Again, you took the words right out of my mouth. I always tell people in my workshops, in the Ubuntu workshops, that we are the ones we’ve been waiting for. We are the way of the new age. We can’t turn our backsides and wait for somebody to save us. This is always the problem: people waiting for some sort of knight in a shining armor, some external savior. We have everything encoded in our DNA. We are the co-creators of our own reality. So let’s create this own-reality. Let’s focus on a positive outcome for humanity. Let’s stop fear-mongering. Let stop doing the dark, negative stuff. What we can talk about is as a platform of knowledge and information that we can use to launch ourselves into this new utopian world. And I’m allowed to use “utopian” specifically because “utopian” is a good word. It’s not a bad word! <Laughs> “Oh, it’s just a utopian idea!” Yeah, I like utopian, it’s a good word, right? Let’s use utopian more. And I just would want also to add, because we’ve mentioned words like “barter” or all that stuff. So I want to firstly say that the Ubuntu Contributionism philosophy is not a philosophy of barter, creating self-sustaining communities. It’s creating communities of abundance because we live on a planet of abundance. One apple tree creates thousands upon thousands of apple trees, not one other apple tree, right? And this is what we’re capable of. Each one of us is capable of creating an infinite abundance if we’re left to create and do, [to] express our natural talents that we’re born with. So it’s creating a community of abundance and not bartering or trading or replacing the money system with any form of exchange. As long as you got any kind/form of exchange, it is open to exploitation. And somebody will find a way to use that against the people for their own benefit. DW - Alright, I’m sorry to end it right now. It’s just getting good but that’s all the time we have for this particular episode. We’re going to be back next time continuing this fascinating discussion with the insider’s insider Corey Goode and with Michael Tellinger, the face behind the Ubuntu movement. As always, we want to thank you for watching and we’ll see you next time. Click here for a Summary and Analysis of Season 3 Episode 4.